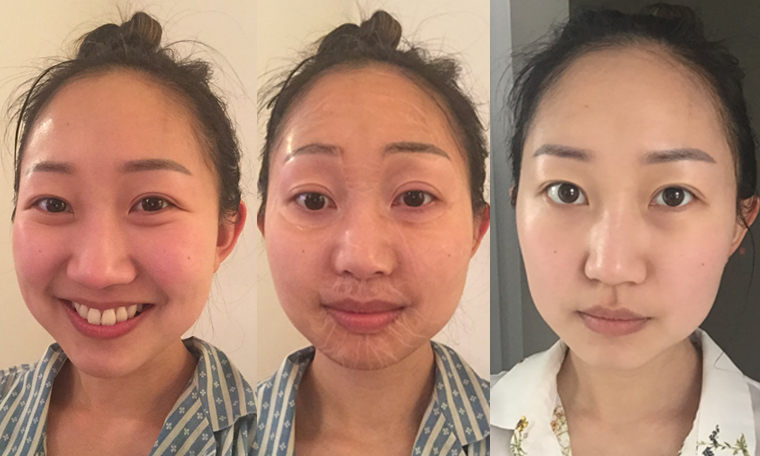 We chat with one of the creators of the Hanacure mask about what’s in it that makes it create that famous #HanacureEffect, plus four staff members offer Hanacure mask reviews with pictures. Chances are that by now you’ve heard or seen something about the Hanacure mask. 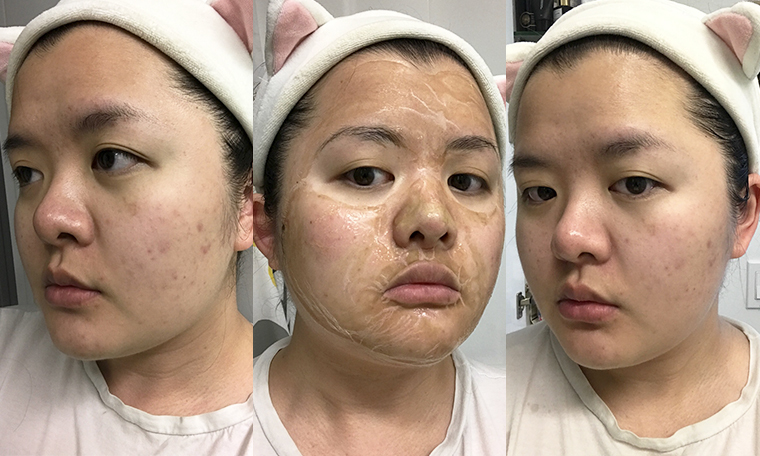 You’ve probably seen some crazy-looking before-and-after photo on your Instagram with the hashtag #HanacureEffect. 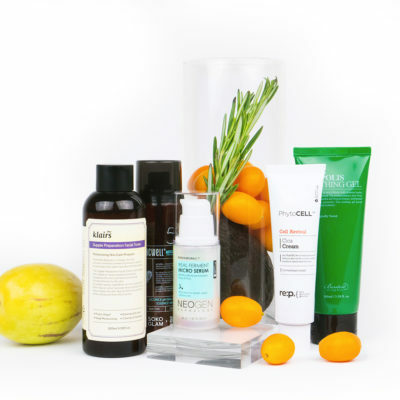 Or you’ve read the countless headlines about how Hanacure is Drew Barrymore’s favorite mask. But in case you don’t know what it is, the Hanacure mask is a super unique luxury face mask (one single mask kit costs $29) that bills itself as the “All-In-One Facial.” It promises to address eight skin concerns: loose skin, puffiness, wrinkles, hyperpigmentation, enlarged pores, discoloration, dull skin, and breakouts and clogged pores. It comes with a special “gelling solution” and a “lifting serum” that you mix together and then swipe on your face with a brush. Within minutes, the mask starts hardening up, so much so that in ten minutes, you can hardly move your face. Give it 15 minutes and the skin under your eyes starts getting pulled so hard that when I tried it, I found it hard to even blink. Hence the “Hanacure Effect” selfies people snap of themselves in which they literally look like old people who are also zombies. 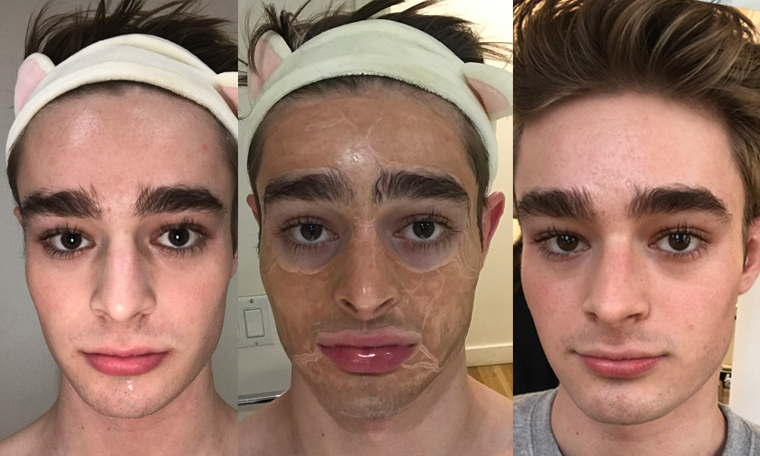 But the actual after-effect of the mask is very real. 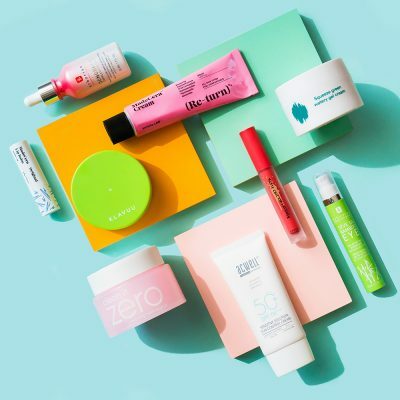 Once every single one of our testers looked at their skin the next day, they noticed that their complexions were brighter, more even-toned, and straight up younger-looking. It was almost like magic. Results like these were why we reached out to one of the creators of the mask, Will*, to give us the inside scoop on everything from what the inspiration was behind creating this mask to a breakdown of every single ingredient in the mask. What inspired you to create Hanacure? 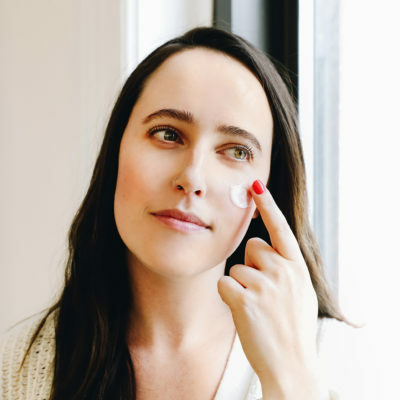 “My business partner’s [a makeup artist] variety of clients were always in need of a pre-make up, skin care solution that could address different skin concerns quickly. Some had puffiness, some had clogged or enlarged pores, some would have both, and none of them enjoyed layering several different products on their face before makeup was even applied. What’s behind the name “Hanacure”? 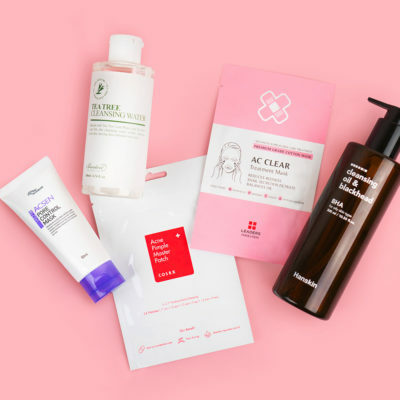 Why did you decide to develop the brand in Korea? 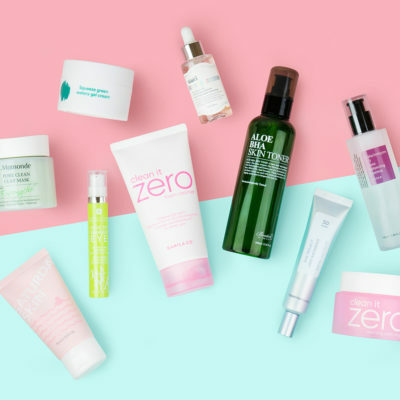 What makes the Hanacure mask so special? How does the mask create the tightening effect? What’s in the Hanacure mask that makes it create these effects? 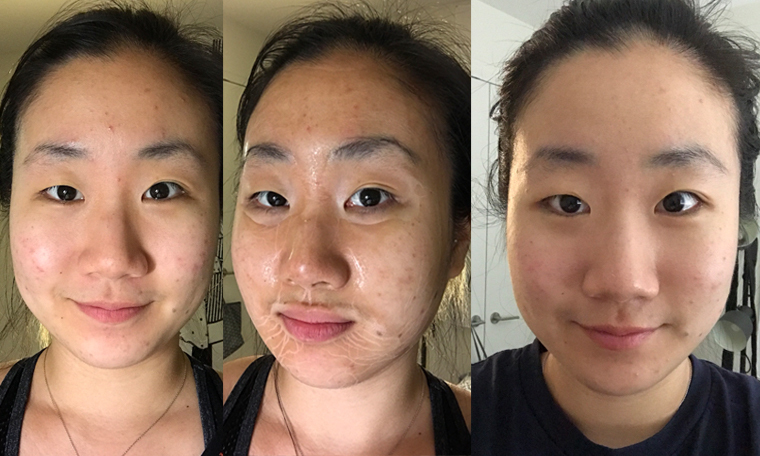 Tina (The Klog’s digital content & marketing associate) thoughts on Hanacure: “Though I was warned in advance about the mask’s tightening effect, I applied the mask all over, including my dark circles and brow bones. 20 minutes into the mask, my brows migrated about half an inch upwards and my eye area was so stretched I couldn’t even shut my eyes completely. The last 5 minutes felt like I was being slapped in the face by a thousand Barbie hands. What’s the next thing we can expect from Hanacure? + What do you think of the Hanacure mask? Would you try it? *Last name has been omitted for privacy reasons.